The Happy Prince is one of Oscar Wilde’s fairy tales, so it might seem odd (not to mention confusing for the kids) to use it as the title for a bio-pic of “transient lust.” But I’m sure the producers know what they’re doing: his demise probably has elements of the tale to it. But whether it does or not—if you know either story—there’s bound to be tears. In anticipation of the movie, read the fairy tale again. Are you saying that there will be a live stream of the movie itself, or just the red carpet event (or both)? Sorry… I’m not familiar with the SOP at Sundance, but I’ve been waiting with baited breath for this release for some time and would be thrilled to not have to wait several more months to get a glimpse. Yes live streams, but as others have pointed out, probably not the movies. Go here for coverage: http://www.sundance.org/blogs/how-to-follow-the-2018-festival-from-home. I’d be shocked if there was a live-stream of the actual movie, especially on youtube. I’d love to see it, but I think I’ll be waiting in line at my local indie movie theater like everyone else. Can you imagine if you were Rupert Everett, and you worked hard to write, direct and star in a film starring yourself and a big star like Colin Firth (among others) and then letting Sundance live-stream it to youtube for free? I’d be livid. I can just imagine the people who pirate films for shady websites sitting about in their pajamas recording an official live-stream of a movie not yet in theaters. The article has been updated to reflect that online coverage will be of the event excluding the films. Live streams of events and interviews, but not actual films. I see a conversation with Rupert Everett specifically mentioned, but am I missing where it saws they are going to live stream a film screening? John – Your link is what I read and, yes, there will be live streaming of events, like red carpets, Q&A’s, scheduled interviews, etc. 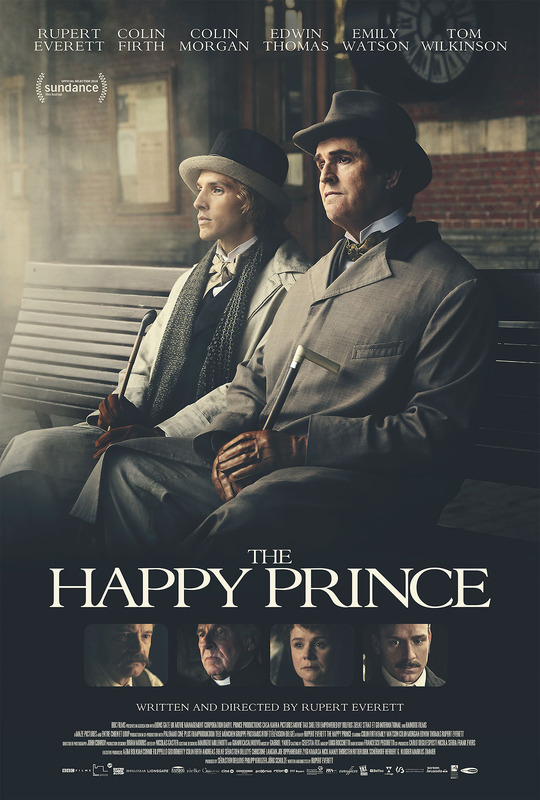 But I am not seeing where it says that The Happy Prince–the film itself–will be live streamed. Many of these films either have distributors or are seeking a distribution deal at Sundance. It would not make any sense to put such films out there for live streaming. Hi Gail! I was skeptical myself, but on closer reading, yes, you’re right. On Sundance’s YouTube Channel, the live streams will consist of “Meet the Artist videos, and other exclusive filmmaker and artist interviews.” That does not say Sundance is live streaming feature films. Thanks again John. I look forward to seeing it whenever possible.